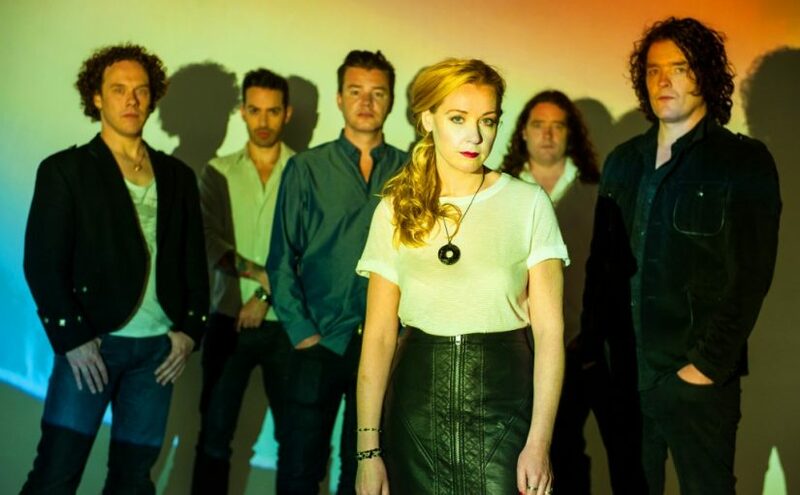 ANATHEMA PREMIERE FIRST TRACK FROM THE OPTIMIST -“SPRINGFIELD” Plus Album And Tour Details. 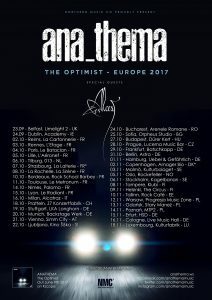 Anathema are premiering the first track from their forthcoming new studio album The Optimist entitled “Springfield”. 40 page artwork book, with artwork from Travis Smith. 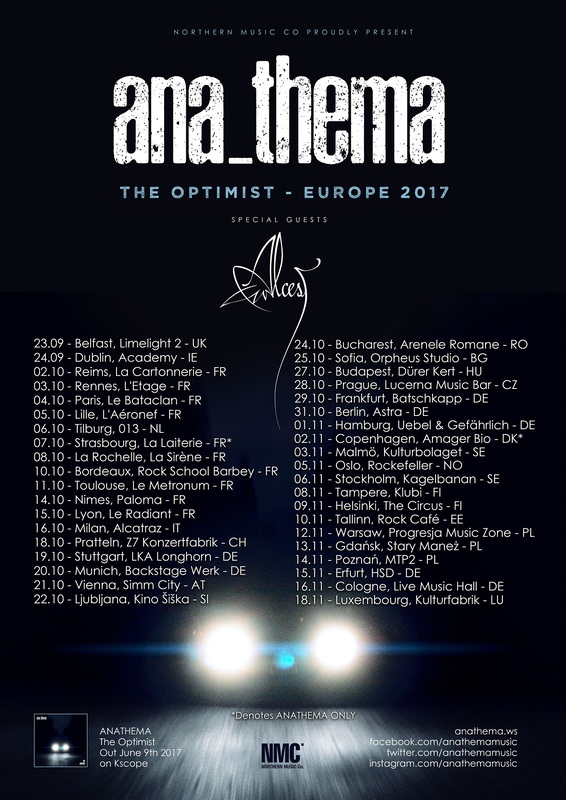 Anathema are set to tour worldwide to celebrate the release of The Optimist and have now confirmed their headline shows in Europe. 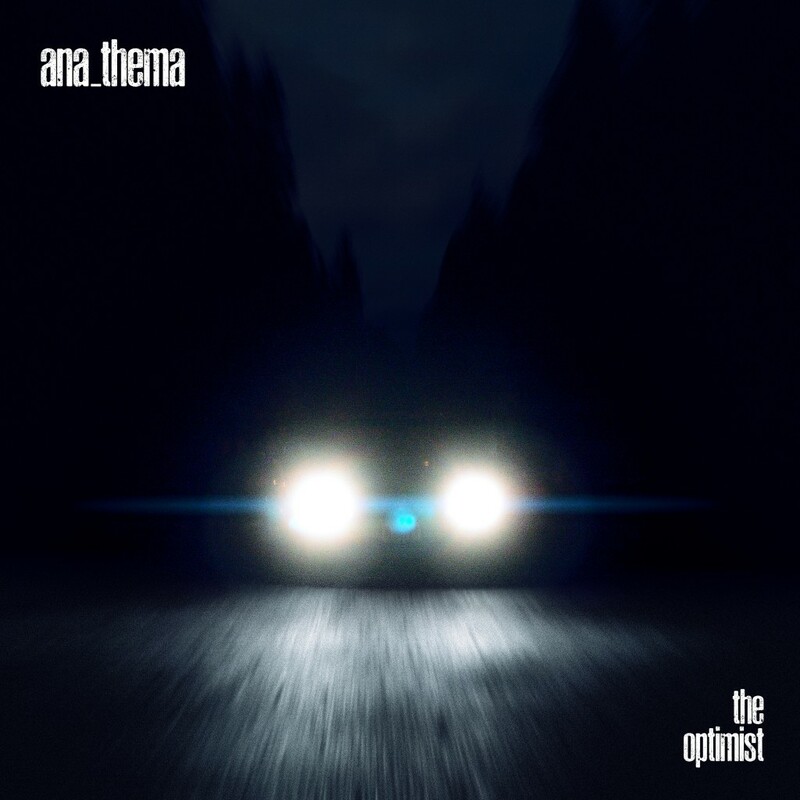 Posted on 30th March 2017 30th March 2017 Categories New album releases, News, UncategorisedTags Anathema, Daniel Cavanagh, The OptomistLeave a comment on ANATHEMA PREMIERE FIRST TRACK FROM THE OPTIMIST -“SPRINGFIELD” Plus Album And Tour Details. 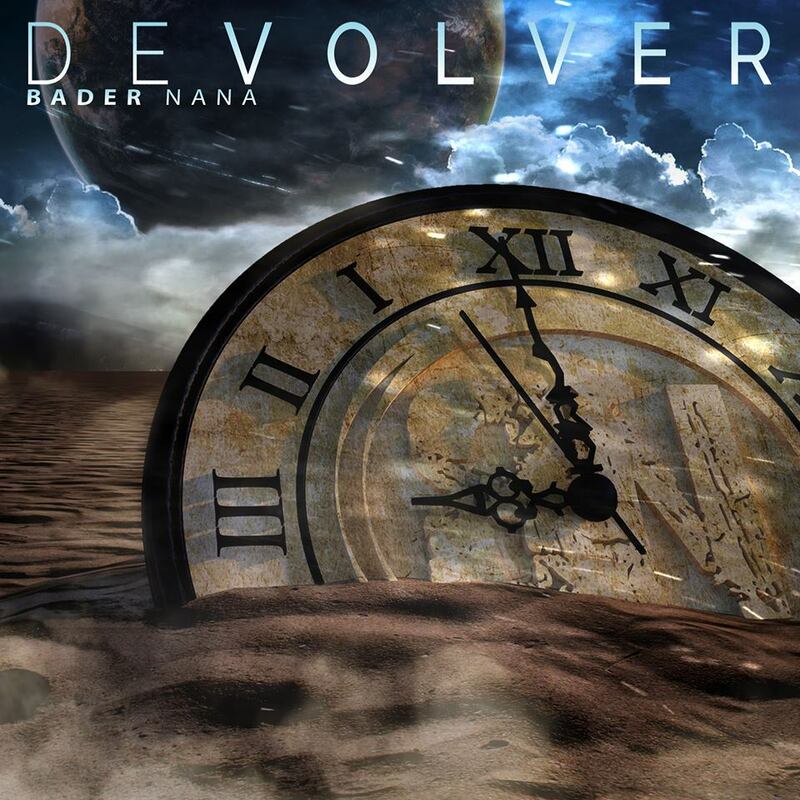 If you are a fan of progressive rock and have not heard of Bader Nana then you could be doing yourself a great disservice! 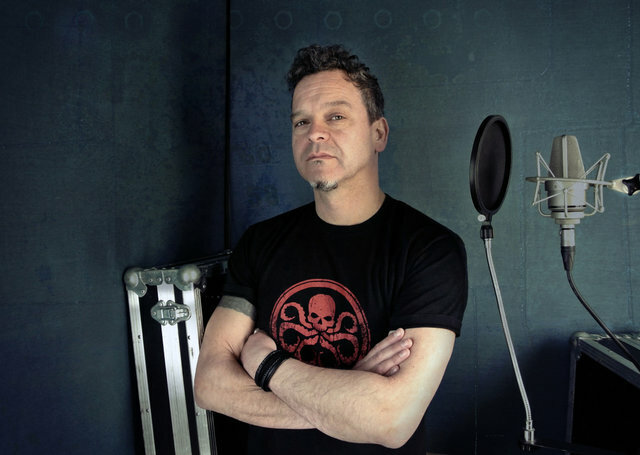 His earlier releases ‘Wormwood’ (2011) and ‘Anthology’ (2013) have been received with astonishment in light of them being home studio projects by fans and critics alike. Bader Nana is a one-man band releasing albums on which he plays/writes all instruments, produces, masters, and designs the artwork. 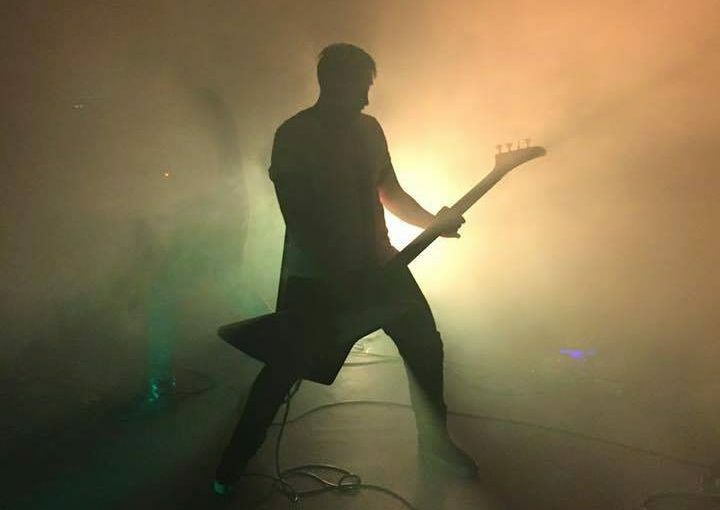 His music has been featured on various rock/metal websites as well as getting radio airplay on several European radio stations. The level of musicianship and production has left many listeners dumbfounded that such a talent has not yet been picked up by a major record label. ‘Devolver’ has been in production for more than 3 years allowing Nana to explore new sonic and musical territory at his leisure to his complete satisfaction. The music remains on a progressive bedrock, as with previous releases, but is driven by a fresh message of hope. 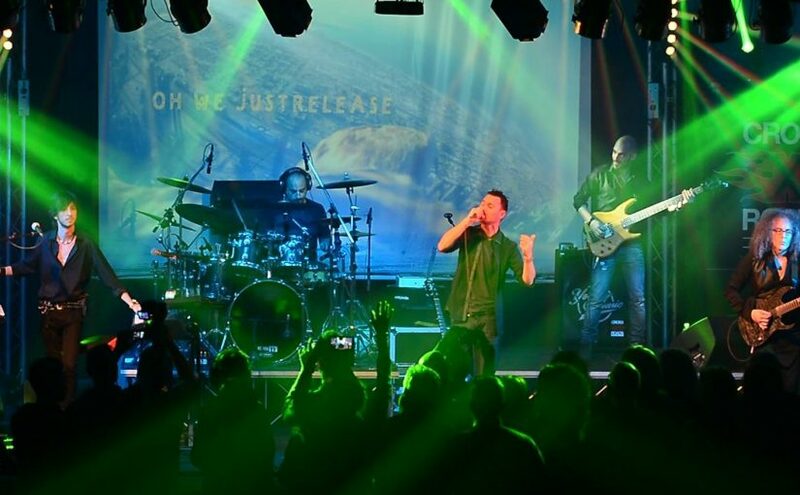 This hope is translated onto a diverse palette of musical arrangements ranging from cinematic orchestration, to soaring ballads, to dirty distorted rock anthems. This album features several guest appearances including guitar and vocal work by Ramzi Ramman (The JLP Show, Lebanon) and vocals by Omar Afuni (Omar Afuni, Dubai). including his previous albums and a variety of side projects. I’ve spent a large proportion of the last 3 or 4 years waxing lyrical about my musical discoveries and sharing them with the world at large (whether they liked it or not) but I’m man enough to admit that even I discover music from recommendations from friends and acquaintances. I discovered the wonderful Scottish progressive rock band Abel Ganz through my friend (and now colleague) at Bad Elephant Music, David Elliott and that has opened up a wealth of new musical treasures that have been brought to my attention by the wonderful guitar player Iain Sloan who, as well as playing with the Ganz boys, lends his not inconsiderable talents to a few other Scottish artists including The Wynntown Marshals and Findlay Napier to name but two, enabling me to dig out these musical treasures too. 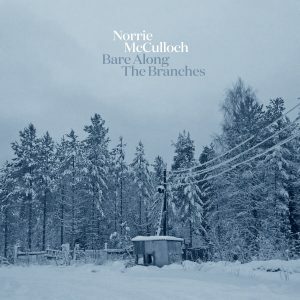 Iain also plays with the talented Scottish folk musician Norrie McCulloch and it is through his recommendation that I sought Norrie out and am I glad that I did, discovering that he was just about to release his new album ‘Bare Along The Branches’. ‘Bare Along The Branches’ is Scottish Singer/Songwriter Norrie McCulloch’s third full-length album in as many years and is the follow up to 2016’s acclaimed ‘These Mountain Blues’. Featuring a backing band of regular collaborators: Dave McGowan, Stuart Kidd and Marco Rea with Iain Thompson and Iain Sloan also entering the fold for this new recording. The album captures McCulloch writing about the human spirit, folklore, growing and belonging. A chance meeting with a Russian photographer gave him the albums cover imagery, its title and a new artistic relationship. 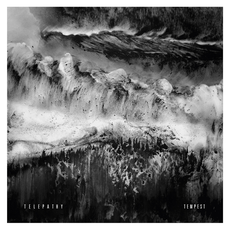 The album opens with the atmospheric Shutter with it’s melancholy driving piano line and echoing drums. Norrie’s world weary vocals take up the tale and you are immediately engrossed in the song. The banging shutter is the soundtrack to someone’s downward spiral, akin to a bell tolling and adding a slightly mournful note to this downcast, wistful tune. 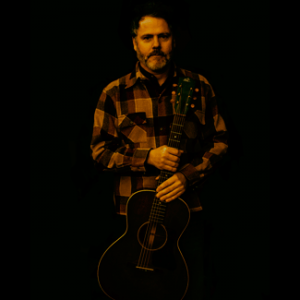 Like a well travelled troubadour Norrie’s brilliant voice just draws you in to the tale and the excellent music keeps you enthralled. Little Boat has a nostalgic feel to it from the first note, the delightful guitar tone is complemented by some wonderful keyboards and McCulloch’s sentimental vocals (channeling his inner Van Morrison) give a feel of longing and remembrance. It’s simple beauty is utterly captivating and uplifting, a look back at time when life was simpler and uncomplicated perhaps? When music is this good, why bother making it convoluted and arduous, the engaging Hammond organ being a case in point, I’m left with a knowing grin on my face as it comes to a satisfying close. The opening to the wonderfully whimsical Lonely Boy is sublime and reminds me of why I love music so much, that keyboard note immediately grabs your attention and your heart. It develops into a brilliant song of reminiscence and sepia tinged memories. There is an emotive depth to this track, brought to the surface by Norrie’s heartfelt, earnest vocals, full of warmth and succor. The chorus is serene and tender, demanding that you sing along and reflect on your own past. Bluegrass, Americana, Country and Folk all combine to brilliant effect on Frozen River. A song of loss but one with an upbeat feel, epitomised by the whipcrack inticate notes eminating from the banjo and mandolin. It fairly speeds along and the skill of the musicians involved is something special, all held together by the vocals of Norrie McCulloch, a voice that is proving to be very special indeed. A gentle acoustic guitar introduces Safe Keeping, a song full of emotion and sentiment, a story of life in a small town, the ties that keep us there and the battles to break them. A descriptive guitar sits in the background, played with a deft, sophisticated skill. 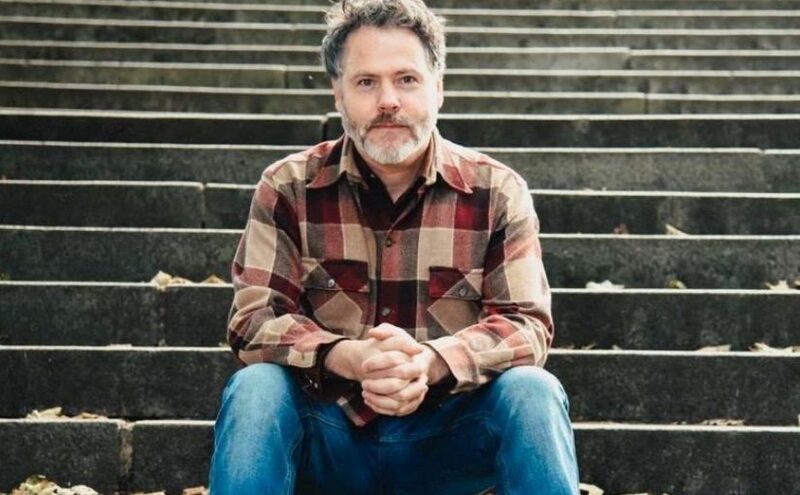 There is a pared back sincerity to the song, a simplicity that has an infinite depth to it and the unadorned vocals sit perfectly alongside giving the whole song an uncomplicated grace. Country blues personified and with a great lap steel guitar running through the centre, Never Leave You Behind has the feel of a good time song played by good old boys and wouldn’t be out of place at The Grand Ole Opry. There a touch of Willie Nelson to the vocals and I’m just left tapping my foot and singing along to this feel good tune. Well I’m exceedingly glad you did! 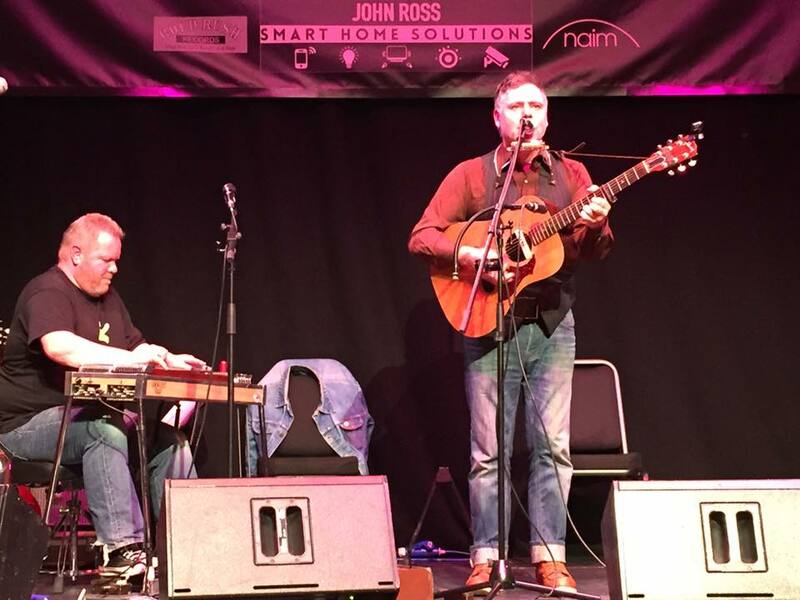 Kept down to basics with the eerie, haunting pedal steel of the talented Iain Sloan, the beautiful and unforgettable piano of Dave McGowan and Norrie delivering a near-perfect vocal performance, this is a song that will live with me for a very long time. There’s a stark grandeur to this track, a primal honesty that has lasted the ages and it makes you stop and listen. The elegant music and sublime, rarefied vocals linger long in the memory after the final, exquisite note plays out. Turn To Dust is a wonderful, simple tribute to Norrie’s mother who passed away shortly before this song was recorded live and solo on acoustic guitar. It’s a remarkably personal piece of music and you almost feel as if you are intruding a little on his grief but you feel the deep, amazing love a son has for his mother in every note and I feel privileged that he felt he could share these feelings with us. I’ll not lie, there’s a tear in my eye and a lump in my throat as it comes to a close. A laid back country blues tune with a harmonica note full of pathos and not a little sorrow, Around The Bend brings to mind depression era America and a small town with dusty streets full of care-worn wooden buildings. The vocals mirror this feeling perfectly, people carrying a world full of issues on their shoulders but the music has a stark grace to it as if beauty can be found in any situation. 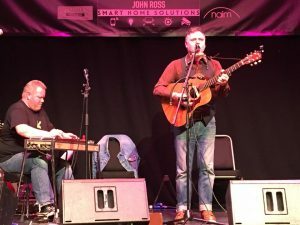 The lap steel and banjo add even more poignancy to the song, giving hope that redemption may indeed be found ‘around the bend’. The last song on the album is the bare simplicity and atmospheric refinement of Beggars Woods, a piece of music as timeless as it is elegant. 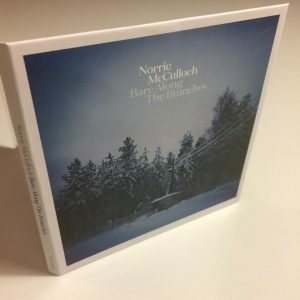 There’s an echoing wonder to the guitar playing and a captivating tone to Norrie’s vocals, the song needs nothing more as it weaves its plaintive way through your heart and soul, pulling you along in its wake. A song about opening yourself to life, to all the good and bad that you will encounter, cleanse your soul and become something more. The incredible guitar solo feels full of pain and remorse and yet there is also a small bud of hope and a promise of redemption. Remember, nothing is set in stone and you make your own path, whatever you may have to overcome. Music has become a way of life for me and it is releases like this that define my life and give it meaning. 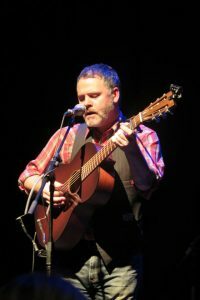 Norrie McCulloch writes songs that are mini works of art, songs about life and death that we can all relate to on a personal level. ‘Bare Along The Branches’ will take you on an admittedly stark and yet ultimately uplifting musical journey that will leave you in a much better place than when you first started. Doom is a primal element of heavy metal, one of the tributaries that has been feeding the genre since Black Sabbath recorded songs like Electric Funeral, Black Sabbath and Under The Sun. The glacial pace, the mournful minor key, the rafter-rattling riff and the brontosaurus stomp of the rhythm section are essential ingredients. While the style has seen many changes over the years and numerous subgenres have formed around it; the core is still the same, still intensely powerful and in the right hands can still sound just as relevant as it did nearly 50 years ago. However, it’s also a fairly simple form that requires adherence to certain elements to maintain the qualities of the form itself (similar to blues, you can only stretch it so far before it ceases to be blues). For every truly unique band in the genre you have another 50 that are seemingly happy recycling Sabbath and Candlemass riffs ad nauseum with minimal individuality. 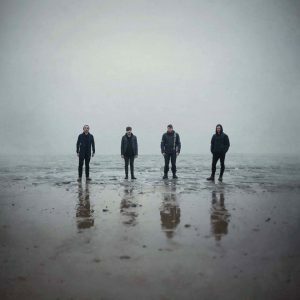 Despite those odds truly inspired bands do occasionally come along and progress the genre forward; while simultaneously staying true to the established roots. 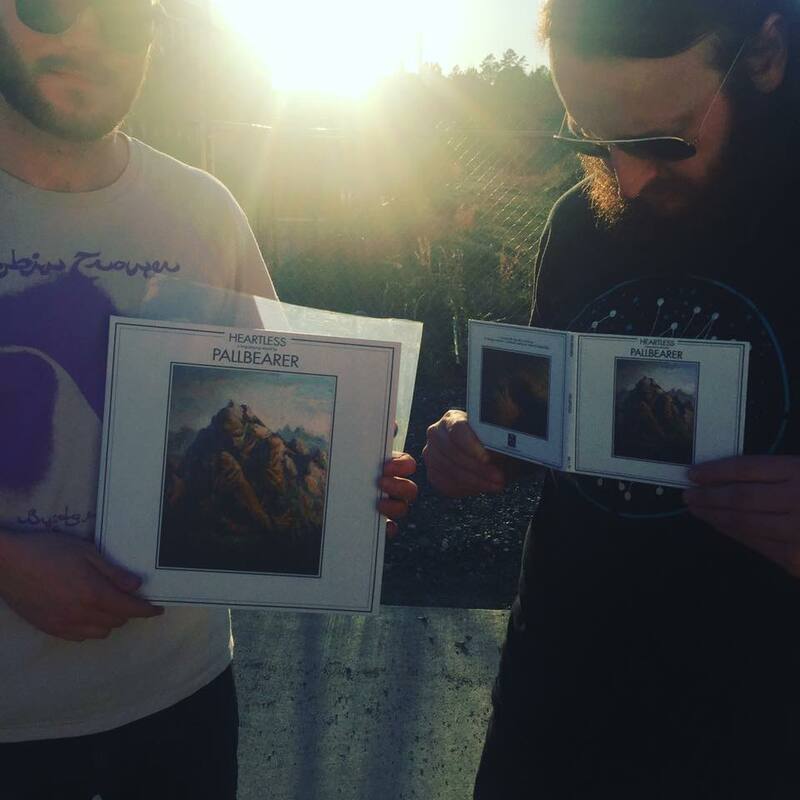 Pallbearer is one such act. Hailing from Little Rock, Arkansas, Pallbearer has attracted an enviable amount of exposure over the past 5 years. Their debut album ‘Sorrow And Extinction’ was immediately hailed as a classic doom metal release; their purity of approach and obvious love for the genre was evident from the beginning, as was their unique spin on it. 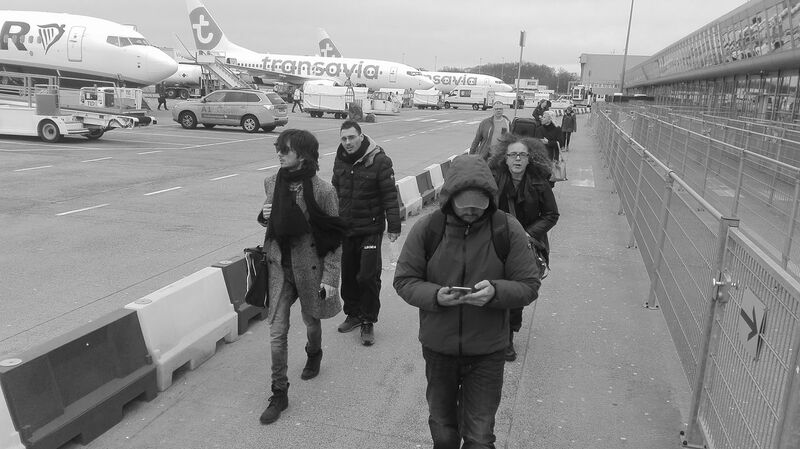 Their stock rose even further with the impressive follow-up ‘Foundations Of Burden’ in 2014, another widely praised and discussed album that ended up high on many best-of-the-year lists. 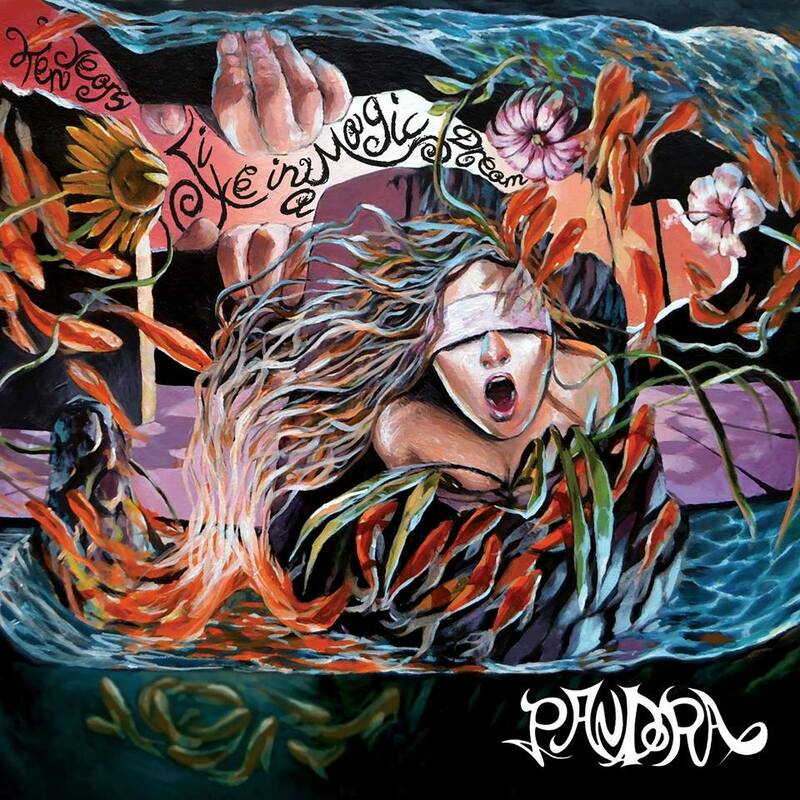 Their combination of crushing heavy riffs, clean melodic vocals and progressive rock-influenced arrangements helped them create an identifiable niche in the genre and their sound was maturing at an impressive rate. 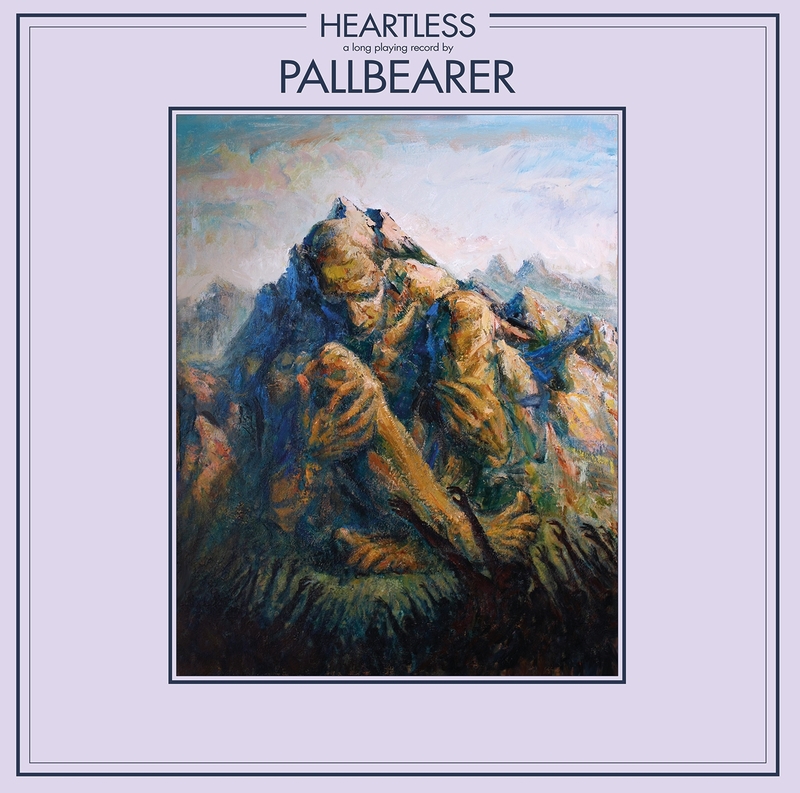 Now with ‘Heartless’ they’ve crafted their singular personal statement, an album that takes all the promise shown on their prior releases and delivers an album that is distinctly Pallbearer. The expansion of their sound is immediately discernible in opening track I Saw The End. The arrangement is more spacious and airy than the wall-of-sound approach on their prior albums; the guitar sound is a little lighter, a little drier than what they’ve employed previously. Instead of the riff being the driving force here it’s the melody of the song that carries the forward momentum. It attains a rare balance of accessibility without compromise, still carrying the heft the genre requires but with deft subtlety. The lovely vocal arrangement of the bridge section recalls the classic 70s mainstream progressive rock of Kansas or Boston while the ending instrumental segment with its gorgeous interweaving guitar lines had me simultaneously thinking about Iron Maiden and Thin Lizzy at their most melodic. The first single Thorns increases the weight a bit, the guitar sound leaning a little more toward the crush heard on their earlier releases, but with a newfound economy in the arrangement. At 5:25 it’s one of the most economical songs in their discography and demonstrates how quickly their songwriting has matured. 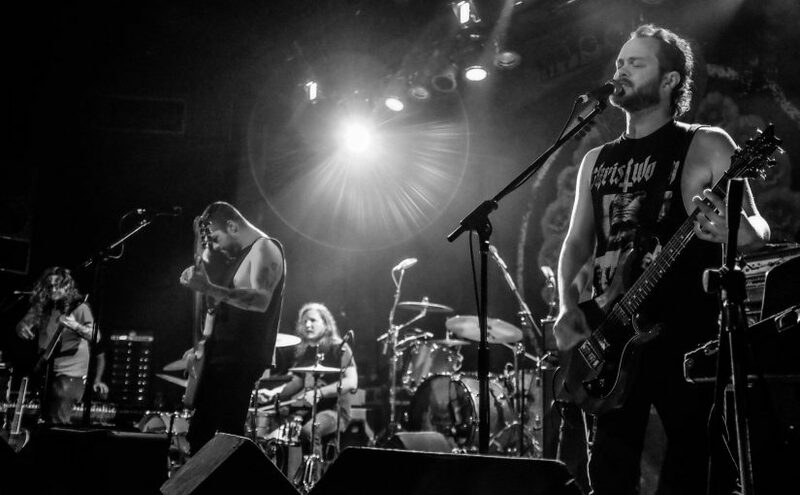 Lie Of Survival and the album-closing A Plea For Understanding are unabashed doom ballads. 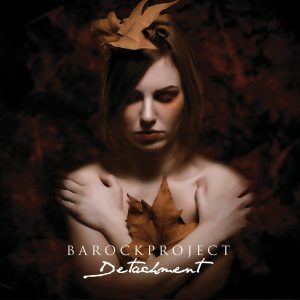 Heartfelt, majestic and fiercely emotional, these epic tracks unfold at a gloriously deliberate pace that gives the listener ample time to savor their beautifully detailed arrangements. One of the most obvious improvements on ‘Heartless’ are the lead vocals of Brett Campbell. His clean, melodic approach has been a defining element since their debut, but his confidence level has been growing exponentially with each release and he has fully come into his own on ‘Heartless’. He sings with passionate authority throughout, but his performance on these mellower excursions are the real highlight of the album and his tasteful restraint ensures they never fall into the trap of histrionics that ensnares so many metal vocalists. The same taste and restraint carries over to the impressive guitar work; from gentle classical-inspired sections to soaring, melodic leads, Campbell and fellow-guitarist Devon Holt have both put in career-best performances on ‘Heartless’. 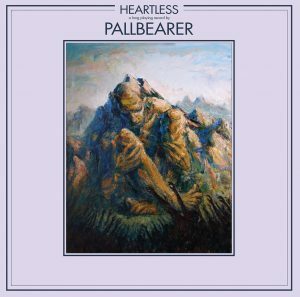 The centerpiece of the album is the nearly 12-minute epic Dancing In Madness, Pallbearer really gets to show off the breadth of their sound on this piece. It begins fully in Pink Floyd territory, a beautifully lush wash of an arrangement tailor-made for a David Gilmour-esque flight of fantasy guitar solo. 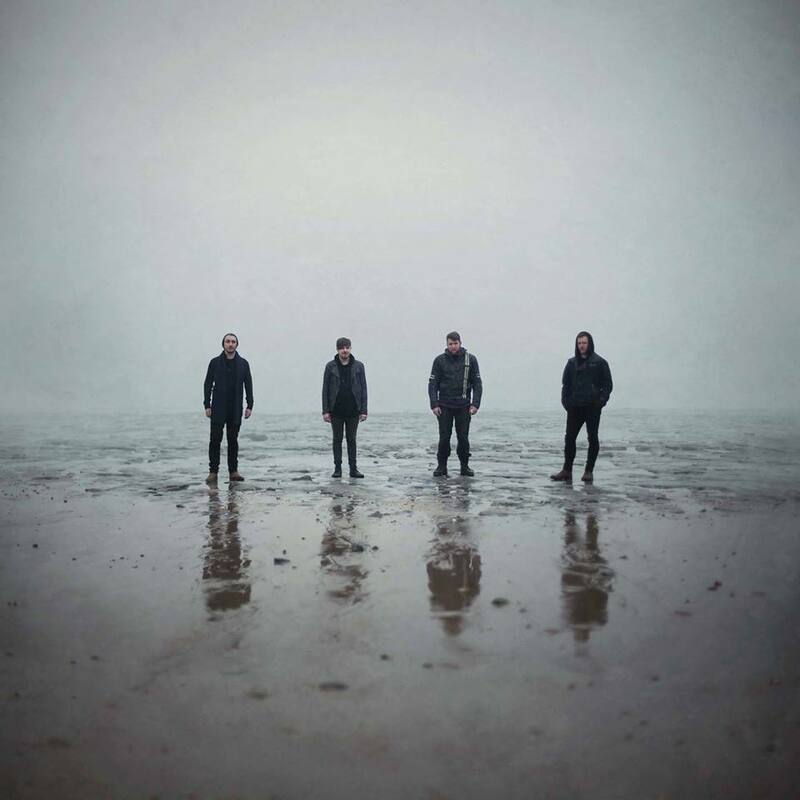 Then the mood turns more oppressive as the guitars enter in funeral-march lockstep and the psychedelic-tinged vocals add an air of disquiet to the proceedings. At the halfway point the first truly aggressive doom riff appears, a harkening back to their earlier sound, here made even more powerful by the unexpectedness of its arrival. The gang vocals that accompany it adding the perfect touch of cathartic menace. Then acoustic guitars segue us into the mournful final section. Cruel Road offers the most unabashedly “metal moment” of the album with its galloping NWOBHM-inspired riffs and 80s style prog metal elements (bringing to mind Fates Warning among others). It is followed by the superlative title track, an 8-minute distillation of Pallbearer circa 2017 and my personal favorite on the album. ‘Heartless’ is also a great-sounding album. With a more expansive soundstage than the overly-compressed ‘Foundations Of Burden’, the spaciousness of the mix allowing the very detailed arrangements to fully come alive. As cliché as it may be, ‘Heartless’ is the kind of album you need to slowly absorb, as the details become more apparent with repeated exposure. I’m sure a certain element of their fanbase might be disappointed that ‘Heartless’ isn’t quite as dark and heavy as their prior albums, but it’s such an organic evolution I hope they can come to appreciate the artistry of it. What I hear is a group reaching the next level; ripe for continued crossover success and deserving of the hype. 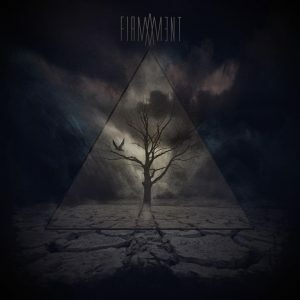 I received this album to review without any preconceptions, save for the knowledge that the band are Italian, and I was greatly excited to dive in head first and try something new to keep the process fresh. 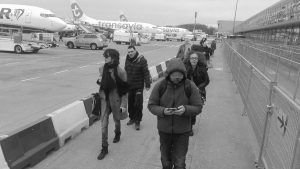 My intention was to write a first listen ‘experience’ piece and then to reflect on this after further play-throughs, however there was a problem – I was worried about the ‘Englishness’ of the title. My fears were confirmed when I realised that this album has vocals sung in English and my experiences are not great in the area of foreign bands not singing in their native language: Men of Lake I am looking at you! (one track reminds me of them, hence the reference). Anyway, I scrapped my initial approach after my first experience of the singing here. Why sing in English, oh why? Is it purely a commercial consideration if English is not your native tongue? Unless a singer has a fantastic voice or personality (to compensate by emoting) it rarely works. 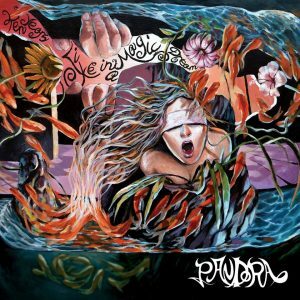 For Pandora we have male and female vocalists who, I can confidently say, sound infinitely better when singing in their native language. They both have good enough voices but, and this is probably a personnel thing, they fail to convey enough emotion to lift the music when singing in English. The expression ‘throwing in the kitchen sink’ applies to ‘Ten Years…’ we have new tracks, old tracks and cover versions here. The arrangements and compositions are also multi-faceted and stop-start and are perhaps being overly progressive for progressive rocks sake. The overall sound is heavily orchestrated and; to coin a new expression(?) ‘oversynthed’. The lead lines are too clean and don’t appear to sit well with the music. To exaggerate this there is a lack of both bass in the production, and also bass guitar in the mix. Many modern bands from Italy excel in the bass guitar department and the lack of such strength here is disappointing. Nearly half of this record consists of cover versions, and whilst these are interesting and well done I ask myself the question why perform and publish them over original works? We have presented here Second Home By The Sea, Man of 1000 Faces, Ritual – Part 2 & Lucky Man plus a snippet of The Lamb Lies… A diverse selection of classics with enough deviation from the originals to be worth exploring, however, all suffer from the above mentioned vocal and production issues. In summary, this is actually a reasonably enjoyable recording that does improve with many plays, and it does have its own voice and style, it is just unfortunate that some of the execution and decision making drops it below the premium level that is being set; and perhaps demanded, by this listener. 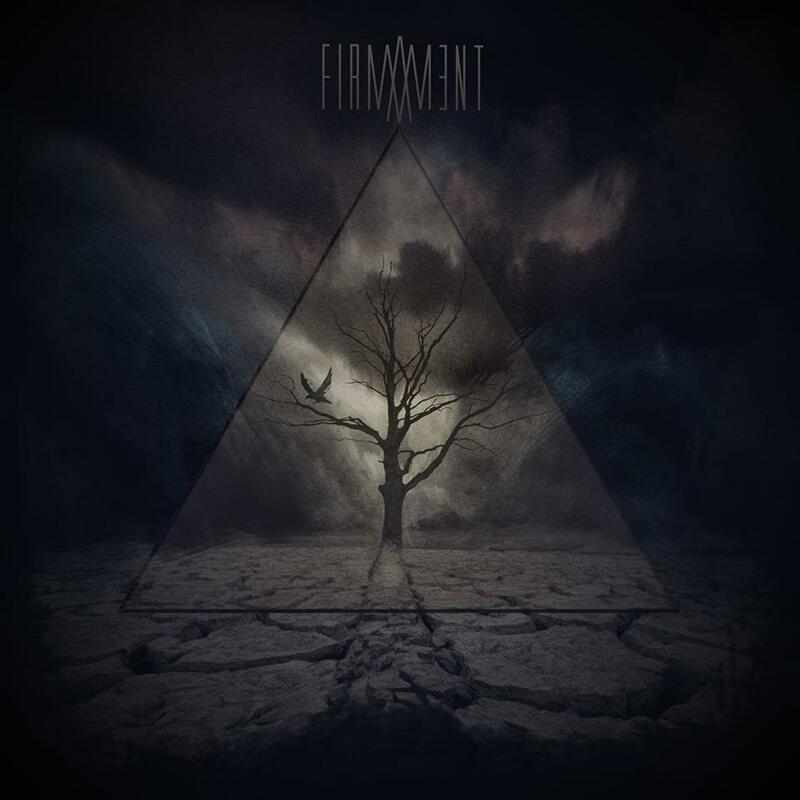 Firmam3nt, hailing from “Mordor” (aka Villalba, Madrid) are one such band and their debut album from 2016 landed in my inbox last week. 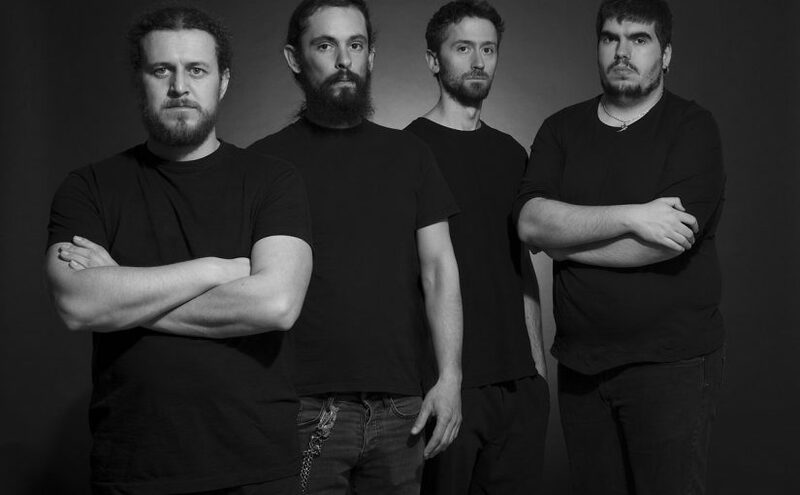 They are a four piece instrumental band consisting of Jorge Santana (Drums & Percussion), Alberto Garcia (Guitars), Txus Rosa – Guitars and Sergio González (Bass). I honestly think the description from the top of the bandcamp site does them an actual disservice. 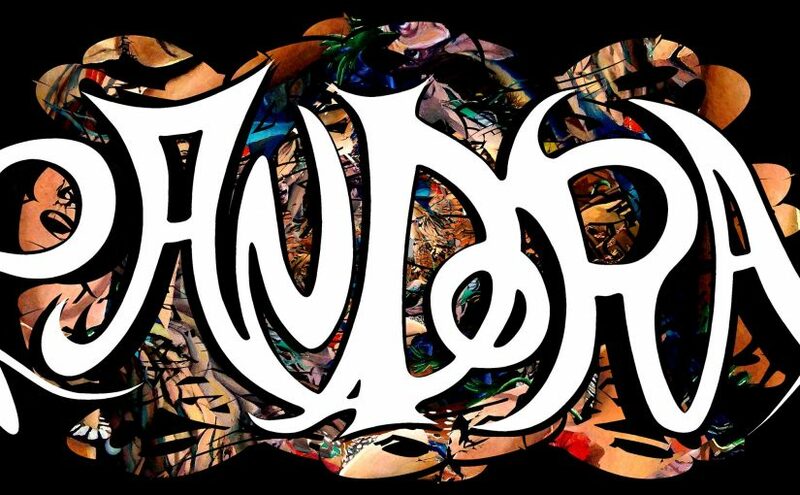 The image musically is one of constant thrash and hammer & tongs metal when, in reality, that tells maybe 50% of the story. I will explain as I go along but this album is not constant chord of doom and despair but is, in fact, far more nuanced and subtle. This is a four track album with the primary points of the compass as titles. Representative of the varied influences of the band or the mixed direction of travel they represent. North opens with a riff of Sabbath proportions, the very essence of ‘the end of the world apocalypse’ travelling into a riffola of rich variety playing in the very metal pond then, inside three minutes, turns into a semi-classical themed electric guitar mellowness which cuts in unexpectedly, pleasantly surprisingly too, before the riffology cuts back in again, not letting you get too comfortable. This is pure guitar driven interplay and these guys are tight as a “gnats Chuff” (to paraphrase a friend). They sound like they know each other well musically and trust each other to follow where things may lead and land in a good place. In a few seconds under 14 minutes they travel a very long way and end this track in a double bass drum rolling thunderous attack that is not for the faint hearted. The other tracks all fit this pattern, reflecting well crafted instrumental pieces with fine soloing from the guitarists Alberto and Txus. Textured layers with lots of time changes and unexpected lulls in the pace keep the ears interested enough to revisit the album. The last track South reflects the slow and softer side of the band a lot more. Call it the Southern winds, light and warm, then building up into a storm of intensity closing with a piano that fades to a close. I played it through about 10 times before considering how to address the review and found enough for me not to want to rush this out and do the band a real disservice. Who is the audience for this album for then? 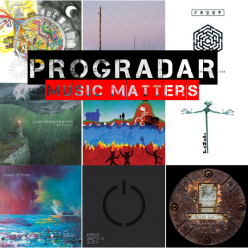 It’s not for those with a pastoral bent or with a rigid idea of progressive music. If you like The Fierce and the Dead, the darker Porcupine Tree, older Opeth, and bits of Mastodon too then you will get something from this album. Like all instrumental music, if you are looking for songs or easy themes you are not going to find them. It is pure emotional response that gives the interpretation. It is also very hard to wax lyrical over insight and meaning for the same reason.